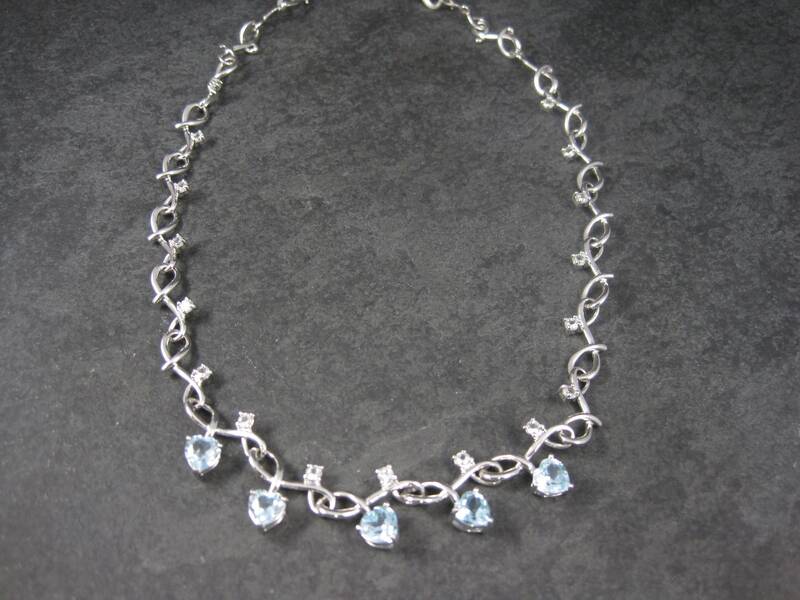 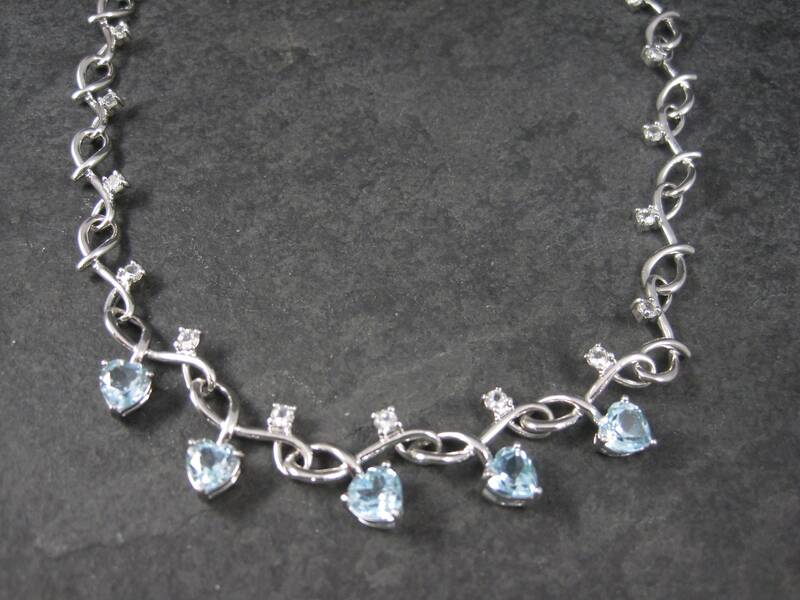 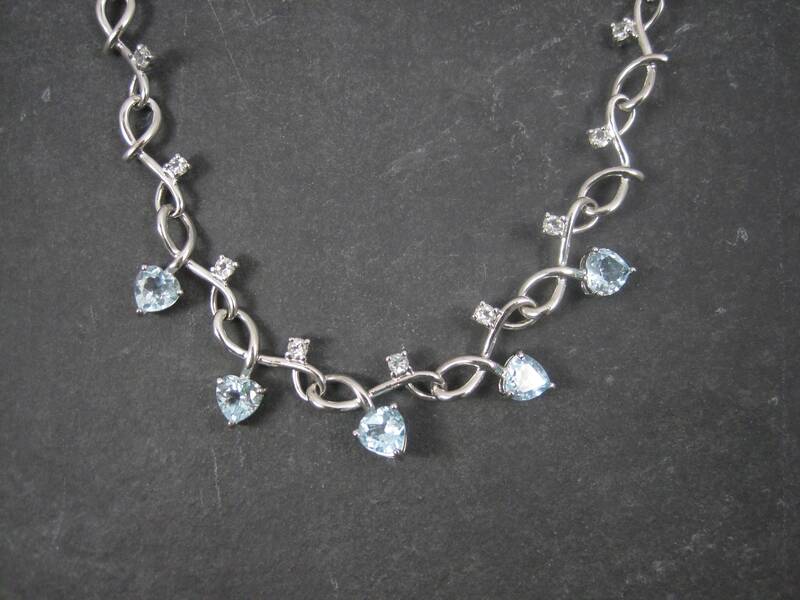 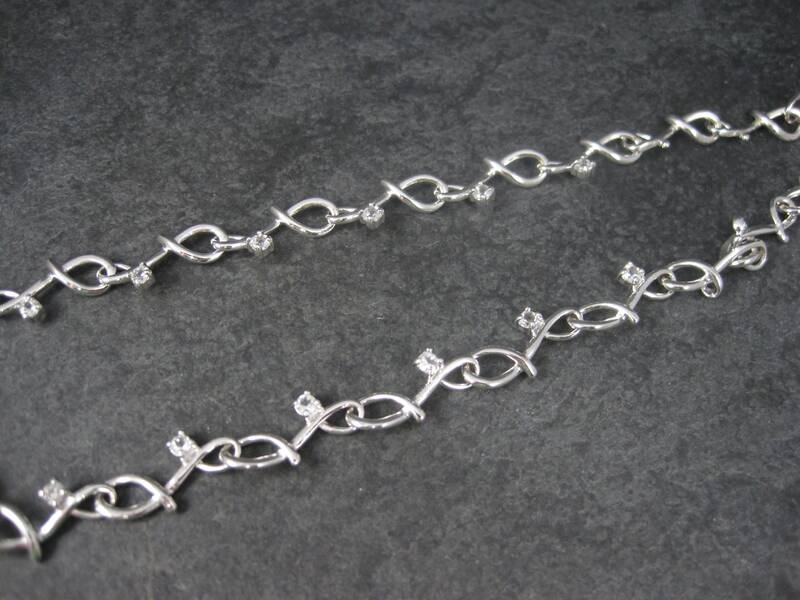 This beautiful sterling silver necklace is a formal piece from the 90s. 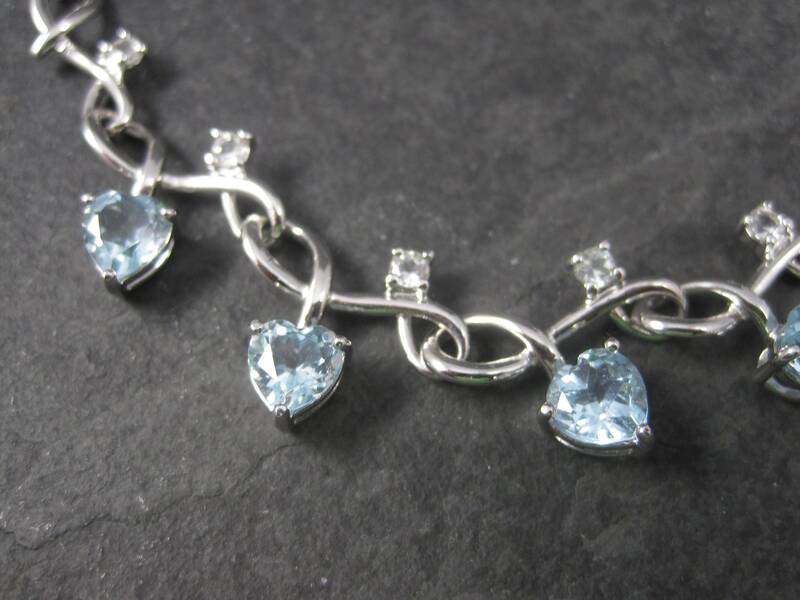 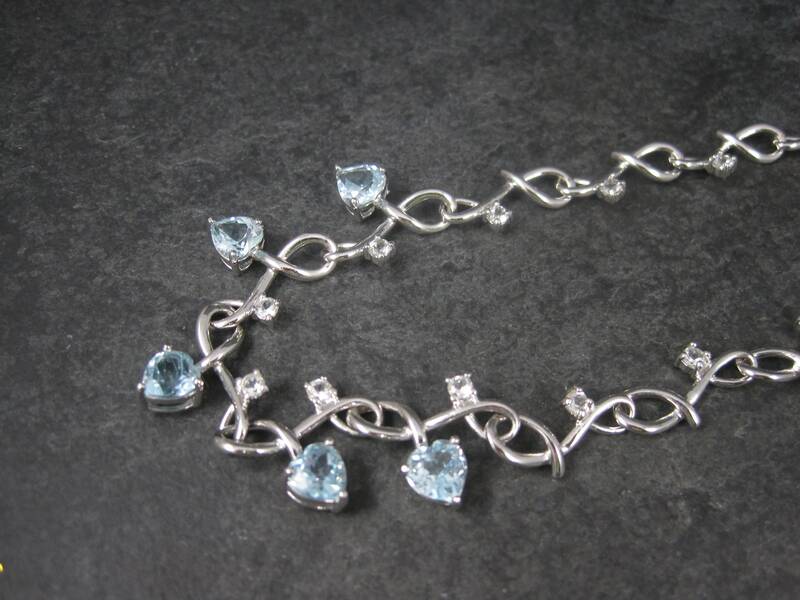 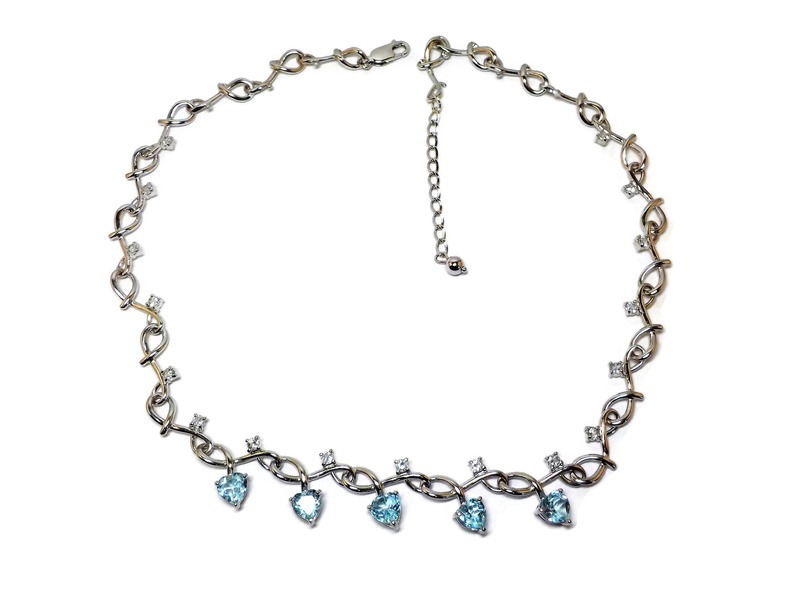 Each of the genuine (AAA) london blue heart cut topaz stones weighs 1 carat for a total of 5 carats. 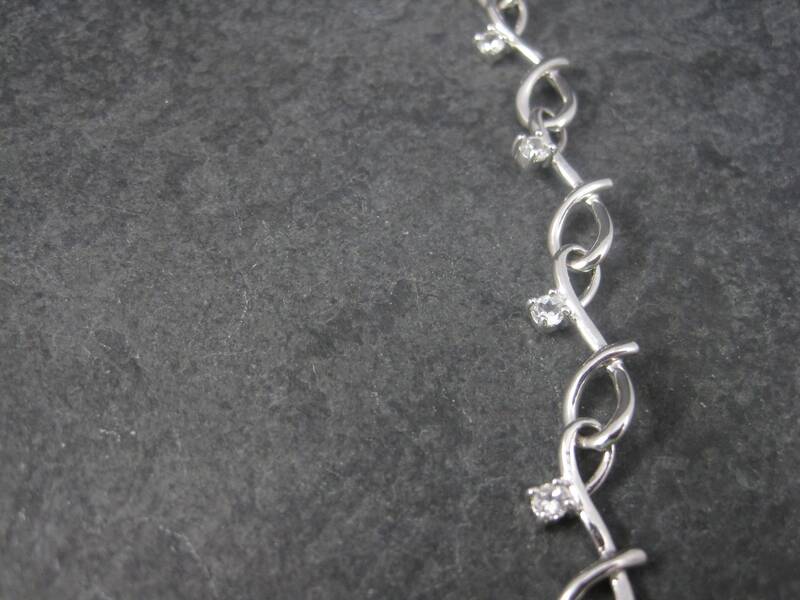 There are 17 natural round cut 3.5mm white zircons that accent the chain throughout. 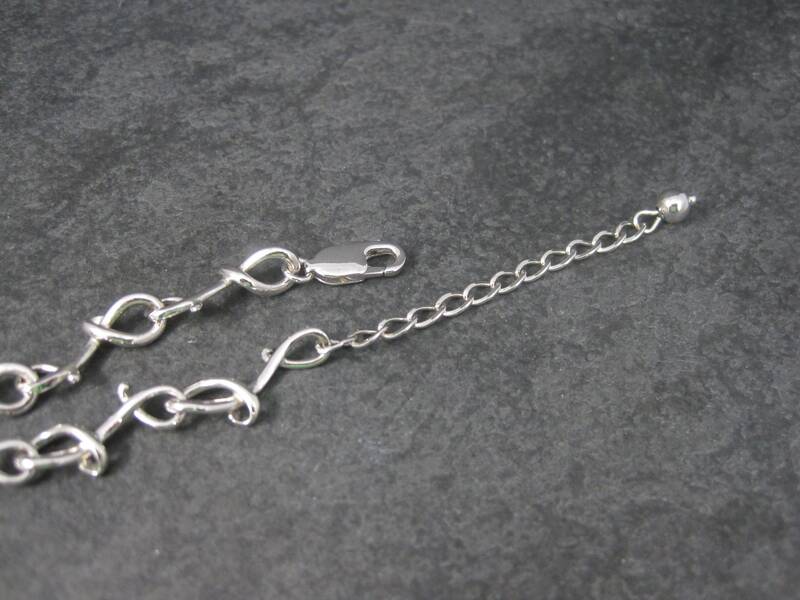 The necklace is solid sterling silver with a sturdy lobster claw clasp. 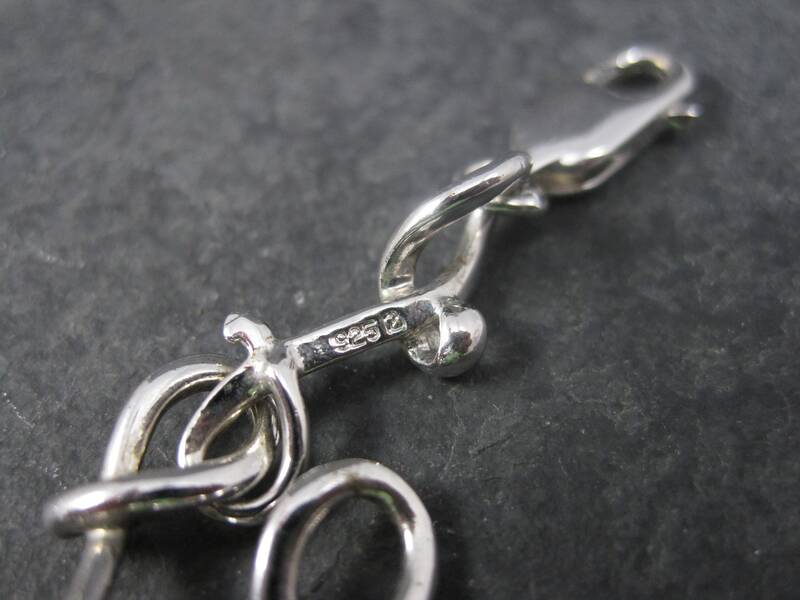 It measures 18 inches with an additional 2 inch chain for adjustability.